What would you do with some extra money? Pay off debt? Save for the future? Go out more? Invest it? There are so many things that you can do when you have extra income coming in, and there are just as many ways that you can make some extra money every month. The purpose of this guide is to introduce you to some of the best ways to make extra money. Some of these ways of making money can even become full-time jobs in the future if you commit yourself to growing your side business. To start, though, you should look at them as part-time opportunities to help you enjoy greater financial security or more disposable income. If you want your source of secondary income to fit easily into your daily life, making money online is a good solution. Online businesses provide more flexibility than second jobs because they allow you to be your own boss, set your own hours and work as much or as little as you wish. Many people find it hard to believe that you can make money on the Internet, but the truth is that there are hundreds of opportunities out there waiting to be discovered. More and more work is being done online than ever before, making it an excellent time to start a second job with an Internet business of some type. That isn’t to say that all online jobs are good ways to make extra money. For all of the opportunities that provide reliable income, there are just as many that are little more than scams seeking to cheat people out of their hard earned dollar. Others may be genuine but just don’t give you the ability to earn very much money. For someone who is brand new to the world of online business, the idea of trying to sort out the good opportunities from the wastes of time and the outright scams can be overwhelming, but you don’t have to weigh all the options alone. Our team of employment experts has already tried and tested all of the most popular ways of making extra money online. We know what works and what doesn’t. This guide focuses only on the ways of earning extra money online that we have seen to be effective and worth the work. Did you know that every time you give your opinion out to someone you’re losing money? It’s not really like that, but your opinion does have big value. Companies want to know what people like you think about a wide variety of topics, and they’re willing to pay money to find out. Big brands hire research firms to find out different things about the kinds of people most likely to use their products and services. Those firms gather information for research through a wide variety of means, including online survey portals. By signing up for one of those portals, you can start making money right away. You register for an account with one or more online survey portals. The more the better, as different ones will have different types of surveys available. Complete a questionnaire that tells the research firm about you. It will ask about your gender, age, level of education, race and other demographics. Receive survey information in the mail when there is a questionnaire that you qualify to answer. Click a link in the email to go online and complete the survey. Receive a credit to your account in a certain amount once you submit the survey answers. It’s that easy! While it can be difficult to make a living on the amount that you make per survey, you can easily make $150 or more extra every month by taking surveys. And it can be really fun! You can find a complete list of the best paid survey sites right here. Binary options may sound like some kind of scary scientific thing, but they are actually a very simple type of investment that you don’t have to be a stock market genius to trade. With binary options, you predict how the price of an asset like gold prices, the value of the dollar or the stock of a certain company will move. For example, you might say whether or not you think the Gold price will increase within the next 30 minutes. When you make your trade, you invest a certain amount of money. On some sites, you don’t have to put in more than $5 to make a trade. At the end of the time period, if you were right about what the price did, you will receive your investment back plus extra money in the form of a payout. The payout can be anywhere from 60 to 90 percent of how much you invested! If you were wrong about the price, your original investment is usually lost. This means that there is a risk with binary options trading, but there are now many tools out there to help you improve the accuracy of your trades and make as much money as possible on the side. You can in the video below, learn the same trading strategy that David uses to earn 200$ in only 30 minutes. You will also see David use the strategy him self. You can see the graphs that are being used in the video right here. Wanna learn more? Read our complete guide to binary options here. Do you love taking photos with your camera or smartphone? You may be able to turn those digital files into money. Stock photo sites allow you to post your images online and offer it to businesses, websites, newspapers and other media outlets that need images to accompany stories, ads, presentations and other types of marketing and communications pieces. Every time that someone uses your photo, they pay a fee, and you get the majority of that money while the stock photo site receives a small cut. Join Shutterstock to start earning money on your photos. Have a knack for video editing or do you like to produce review, tutorial or game walk-through videos? 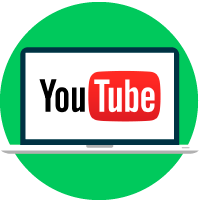 You can turn your YouTube channel into a source of extra money. By signing up for a Google AdSense account, you can add ads to your videos. If someone clicks on an ad on your video before, during or after the video, you receive a commission from Google. The more videos you have online, the more money you can make every month. Technically, winning a contest isn’t earning money, but you won’t care about the difference when you get a deposit to your PayPal or checking account! There are a number of contests on the Internet that give away money regularly to people who are willing to enter. The chances may not be great, but if you keep playing, you could potentially win. One thing to keep in mind is that a legitimate online contest will not ask you to pay to enter, provide a credit card number or type in your social security or bank account number. Any site that asks you to do this is likely a scam and should be avoided. You can see a list of different competitions that you can participate in here. If you have some experience with the stock market, you can make money as a day trader, making trades through your own investment account without a broker. This is more advanced than binary options trading, but it does give you a tangible asset that binary options trades do not. Many people who trade stocks also trade binary options in order to make money over the short term with the options and the long term with stocks. Affiliate marketing is a form of advertising on behalf of a partner company, usually an online store or a brand’s official e-commerce site. As an affiliate marketer, you produce content, such as blog posts, email blasts or social media content that highlights a product or a company. Your ad or post includes a special link. If someone clicks on it and makes a purchase, you receive a flat fee or commission. It takes some time to develop a successful affiliate marketing strategy, but over time, you can begin to make enough money that it can become a primary career. You can read more about affiliate marketing on this website. 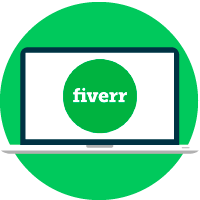 Fiverr.com is a marketplace site where you can advertise services and make money doing tasks for $5 at a time. The site has sections for graphic design, website design, digital marketing, writing, translation, video making, animation, music production, voice overs, computer programming, tech support, advertising, business consulting, gifts and more. a Fiverr.com side business can grow to become a full-time job. You can join Fiverr.com here. If you are fluent in another language besides English, you can find work as a translator. Companies and individuals hire people to translate many different types of documents into various languages. Provided you have strong writing skills in both languages, you can stand to make a lot of money with this specialty skill. Fiverr.com and Elance.com have plenty of opportunities for translators. Translators may get paid by the word or by the document, and you’re free to set your own rate. Eventually, online translations could become a full-time job. People who are skilled at writing can make a living as a copywriter. You can get paid to write everything from emails to product descriptions. Many writers charge by the word and get paid anywhere from $.01 to $.10 for each word written. A very good writer can make $30 per hour writing or more. Elance.com and Fiverr.com are a good place to begin finding clients to write for. Like translators, freelance writers can often work full-time in the field once they establish a business. In the meantime, you can make good extra money by writing quality content. Budding graphic artists can make attractive logos and sell them for money. A program like GIMP or Photoshop can provide all the tools that you need to get started. Some graphic designers make logos as custom orders designed specifically for clients found on sites like Elance.com and Fiverr.com. Others have a selection available that they sell through their own websites. Many people discover products and services on Facebook, and companies know this. That’s why many now offer Facebook marketing programs that allow people like you to earn money by posting about their products and services on their Facebook pages. With Facebook marketing, you post a link to a company’s website along with an image, a video or text. When someone clicks the link and visits the website, you may get paid instantly, or you may only get paid if they make a purchase, depending on the agreement. Unlike affiliate marketing which usually requires you to drive traffic to a site through a number of different sources, Facebook marketing allows you to focus on one sole method of advertising. You’ll need to continue to grow your Facebook audience to be successful with any type of Facebook marketing program. Some companies won’t consider you for their programs unless you have a minimum number of followers. Read more about earning extra money on Facebook here. Many businesses want to launch websites or improve on their current website designs but lack the skills or time to get the job done on their own. 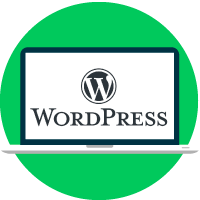 If you know how to use WordPress or Wix, you can start a part-time business as a website designer. You can advertise services on Fiverr.com or a similar website or contact companies in your local area that either lack websites or have outdated sites. Most sites require only an hour’s investment in time as today’s website builders are very simple to use. You can charge a rate of $100 to $300 per site and make a steady income. Like other types of freelance side businesses, website design can become a full-time career in the future. If you do a good job and deliver quality service, your clients will tell their friends and family members, and your business can grow. Before you begin looking for work as a website designer, it’s a good idea to spend some time making sample sites. If you create them for different industries, you may even be able to customize them and sell them as is to a prospective client. Many people prefer to buy things online today and would prefer to purchase from an online specialty shop that has a huge selection of products that relate to a certain niche. Today, you can run this type of e-commerce site without having to manage inventory. You can enter into a drop shipping agreement with a manufacturer where you sell their products, submit orders to them and allow them to handle all of the packing and shipping. You’ll make a certain percentage of the profits from each product that you sell. All that you have to do is handle customer service and keep your website maintained. If you have an interest, a hobby or a special skill, you can blog about it and make extra money. Blogs can be monetized in a number of different ways. 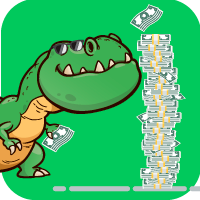 You can have ads placed on the site and get paid whenever someone clicks. A blog can also be used for affiliate marketing. You can write posts about certain types of products or mention a product in a post and include a link. You’ll receive a commission or a fee whenever someone buys it. Can’t decide which of these ways of making extra money would be best for you? Give all the ones that interest you a try! Since you are still going to be keeping your day job, you can afford to experiment and find out what works for you. Just remember that it can take time to get a second income up and running. Stick with it and keep working at it to see real results in the form of extra money.